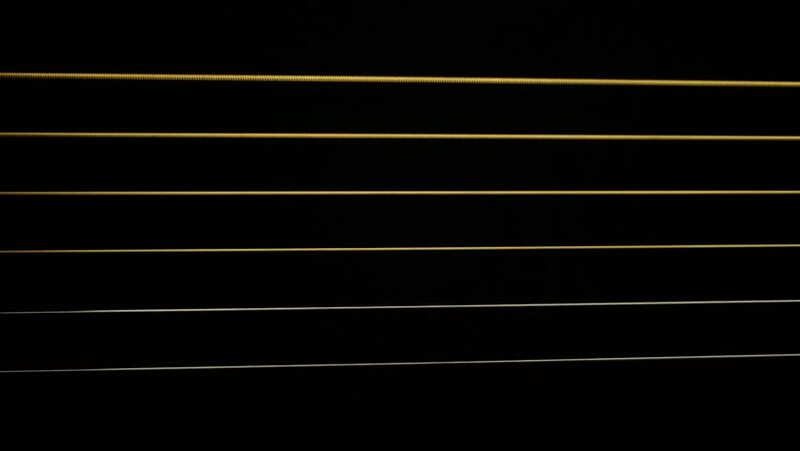 Vibrating guitar strings on black background. One by one. Hand did not appear.